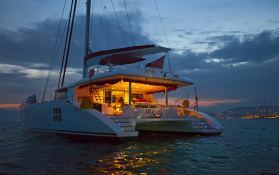 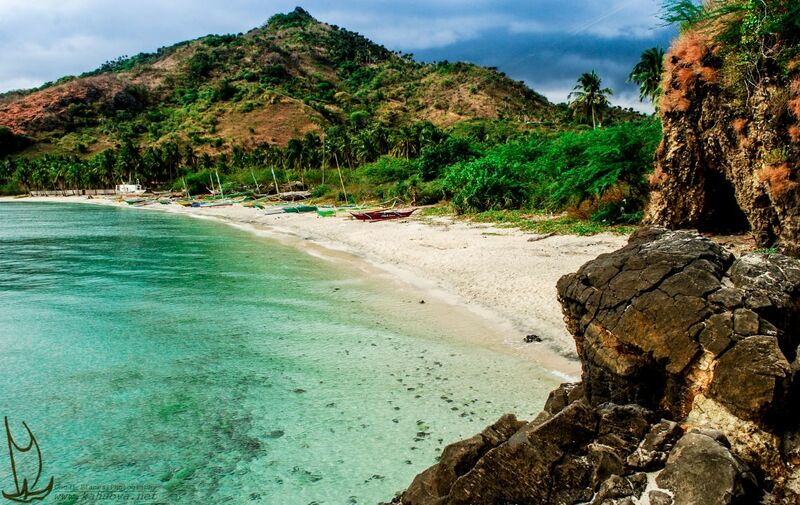 The fabulous Sunreef 70 catamaran Muse offers accommodation for 10 guests in 5 luxury cabins, with an additional space for 2 children's berths. 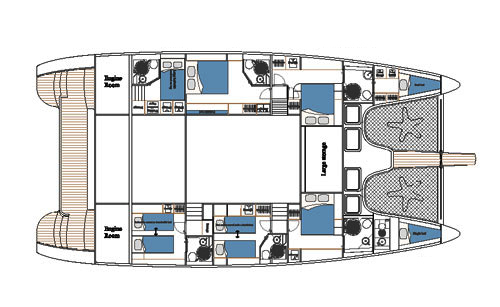 Muse is an excellent combination of contemporary classic within a spacious open plan layout. 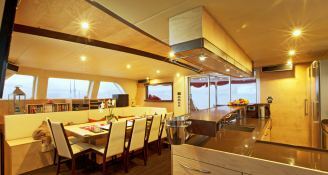 Her 'elegant hotel style' interior has been fitted out with quality wood from Finland and exotic wenge. 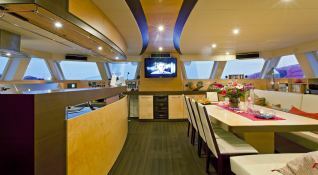 Her large flybridge and her spacious deck offer unforgettable views. 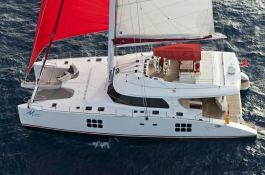 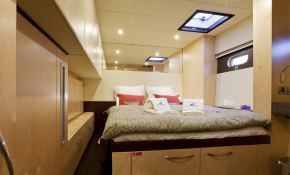 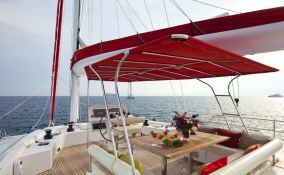 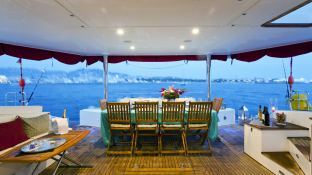 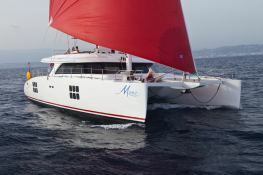 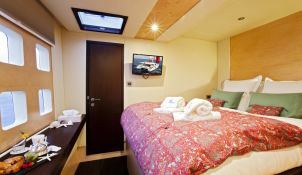 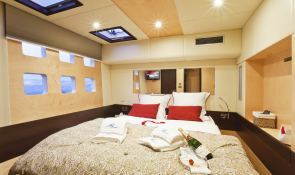 Whilst her audio-visual set up and technology incorporate HDTV, DVD, Wii, and her numerous water toys include 75cv, kayak, water skis, wakeboard and diving equipment (deep sea diving by appointment only).This crewed catamaran is available for yacht charter with a base price of 22 000 € (approximatly 24 811 $).